Easter is just 13 days away! I’ve whipped up a fun eggy appetizer that you can serve on Easter Sunday (or for a spring party of some sort). They can be made ahead and kept chilled until serving time, or you can prep them ahead and assemble at last minute. 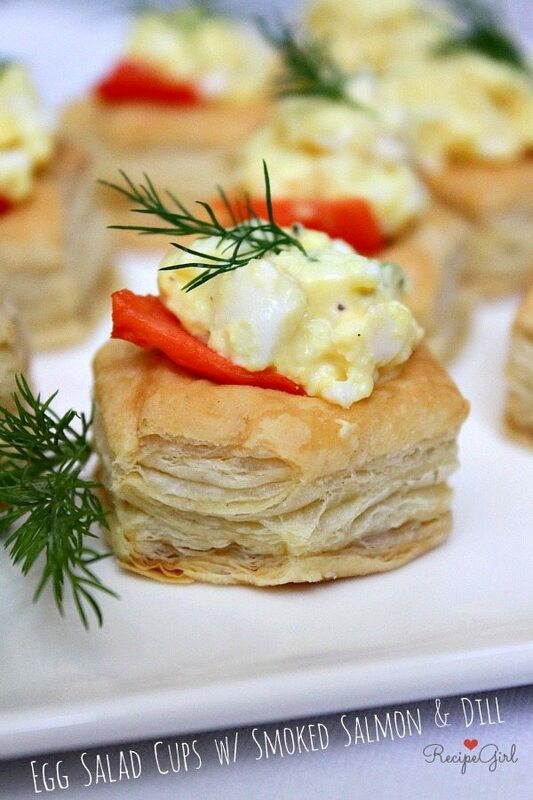 Today, I’m sharing my final Puff Pastry recipe: Egg Salad Cups with Smoked Salmon and Dill, AND announcing WHO the lucky winner is of the Puff Pastry contest- that lucky winner is being flown out to the Pepperidge Farms headquarters in Connecticut next month… and I’ll be joining them! This recipe starts with Puff Pastry Cups. They’re located in your market’s freezer aisle (where you find the frozen pastries). If your market does not happen to carry these, you can request that they order them. They are GREAT to store in your freezer and assemble last-minute appetizers. The Puff Pastry Shells also work for this recipe, but those will be more of a brunch entree rather than an appetizer since they are a little bigger. 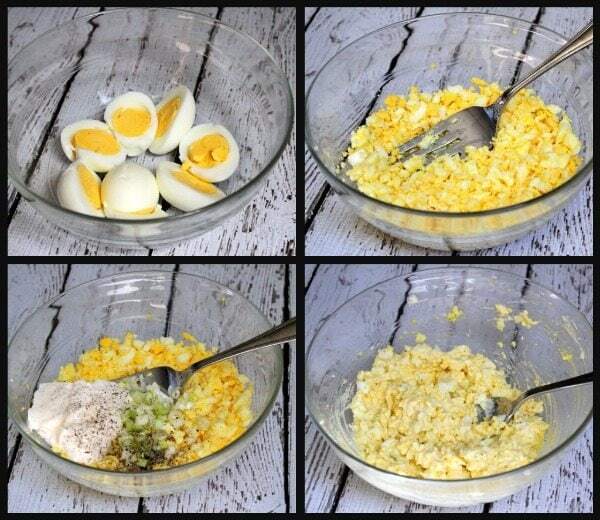 Four eggs are hard boiled, mashed and mixed into a simple egg salad. I show you how I like to do it in my recipe below, but if you have a way that you like to make egg salad that you love, you can certainly do it your own way too. 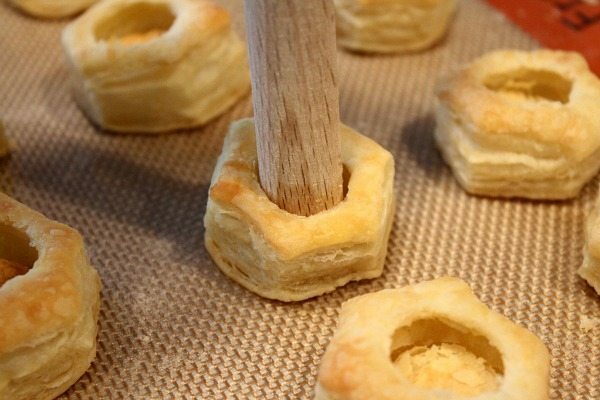 The Puff Pastry Cups are so easy to make. They’re just baked for about 20 minutes. Once they come out of the oven, they’re puffed up. You just take the end of a wooden spoon and poke down the middles. 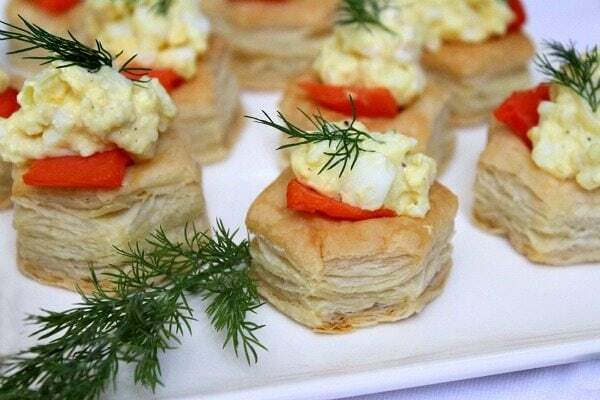 Here’s everything you need for the recipe: Puff Pastry Cups, egg salad, smoked salmon and fresh dill. Assembly is easy. Just stick a little piece of smoked salmon in the cup, then fill the cup with a spoonful of egg salad, and garnish with fresh dill. That’s it! Wouldn’t these make a pretty Easter appetizer? 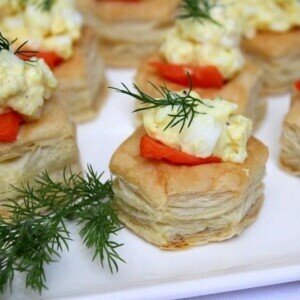 The salmon and dill make a fabulous flavor addition to the egg salad, and it’s all perfect with the crunch of the pastry. If you are not into smoked salmon, you can most certainly include some thin slices of carrot in place of the salmon. They’ll most certainly be a hit for any spring party! And now it’s time to announce the Puff Pastry “grand prize” winner, who will visit the PF Innovation Center in Norwalk, CT with me in May: it’s Liz Hughes from Virtually Homemade! She shared an idea for creating Pomegranate Goat Cheese Tartlets using Puff Pastry, and that idea was grand-prize material- yahoo! Congratulations to Liz, and thanks to everyone else for contributing your Puff Pastry ideas these last few months. I’d like to invite YOU to share your own original Puff Pastry recipes and/or twists on existing dishes via PuffPastry.com or Pepperidge Farm Puff Pastry Facebook page, and/or by tagging the brand (#PuffPastry) in any Instagram photos. 1. Preheat the oven to 400 degrees F. Bake the Puff Pastry Cups according to package instructions (about 18 minutes). As soon as they come out of the oven, use the end of a wooden spoon to poke down the middle of each pastry. 2. In a medium bowl, chop up the eggs and then use a fork to mash. Add mayonnaise, onions, salt and pepper. Stir to combine. 3. Assemble: Place a piece of salmon inside of each cup (let it peek over the side of the cup, as shown in the photo). Use a small spoon to fill the cup with egg salad. Pile it up on top. 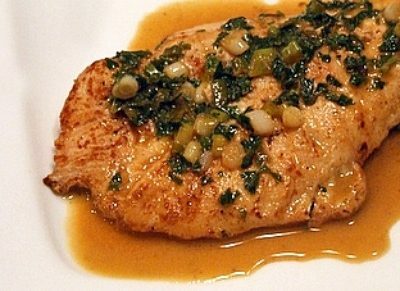 Garnish with dill. Keep these refrigerated until ready to serve. If it's going to be more than a couple of hours, place them in a covered container. They should be served the same day that they are assembled. *My favorite method of hard boiling eggs: place eggs in a large saucepan with cold water. Bring to a boil, then cover, remove from heat and let sit for 15 minutes. Cool and then peel. Disclosure: I have been working with Pepperidge Farm over the last few months to create recipes using their Puff Pastry products as part of their “Puff is the Spark” panel. This is a product that I use in my kitchen regularly. All opinions shared are my own. 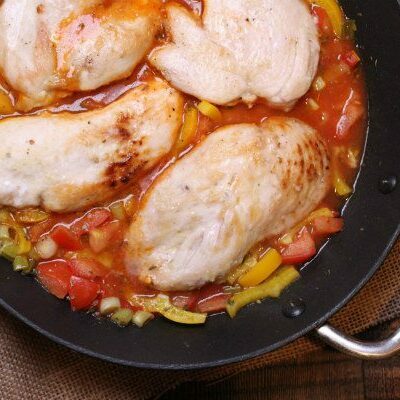 Hi – I can’t wait to try these! 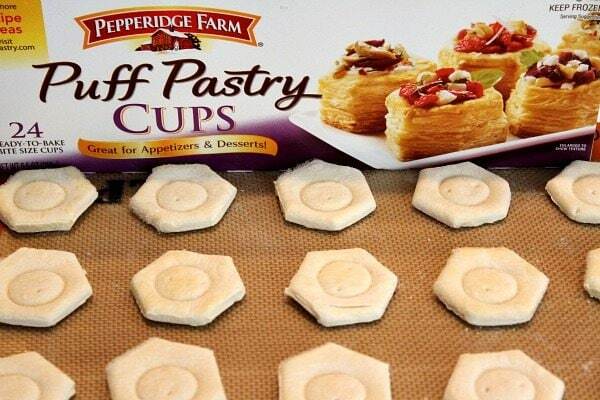 I have been trying to locate the Pepperidge Farm Puff Pastry Cups at grocery stores in Long Island, NY and I have been able to find them – any suggestions? Please advise! Thanks! I’m not sure how to help, but I know that you can talk to the store manager and request that they order the product and keep it in stock. Sometimes they listen! I could eat an entire tray of these great appetizers! Salmon with egg salad, I am craving it now! Oooo, loving these Lori! Perfect flavor combo!! These look so yummy. Looks perfect for a get together or springtime party! These bites look so good! Perfect for Easter! I crave breakfast foods pretty much nonstop, and I love smoked salmon and eggs together! I wouldn’t even be able to serve these to my guests because I’d be too busy eating them myself! 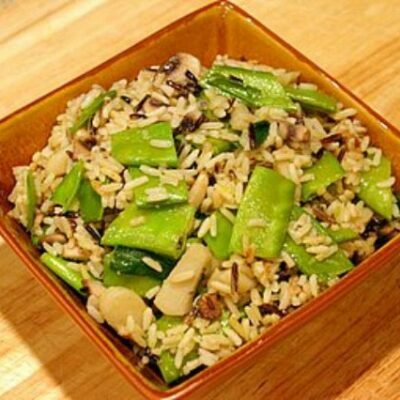 The perfect appetizer for Easter brunch or anytime, Lori! You are so creative with these fun and easy recipes using Pepperidge Farms puff pastry cups. Thanks for sharing, girl. Pinning (of course)! 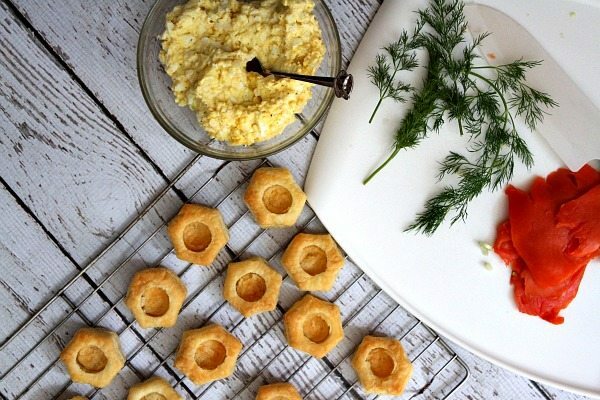 I’ve been looking for a fun little appetizer to add to my Easter menu and these are perfect! Pinned and definitely making these! 13 days???? Lori you just gave me a heart attack, I’m not readyyyy!! 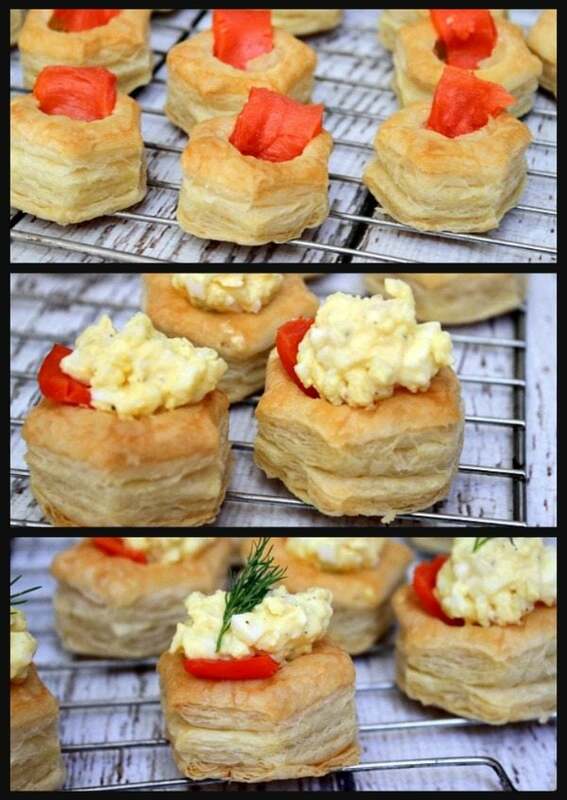 These look so good, love puff pastry! These look great Lori! And thanks for the shout out – can’t wait for CT!!! I LOVE puff pastry. I had no idea that they had little puff pastry cups though! So much fun, definitely need to get some and try this! And you are right – the perfect appetizer for Easter (which I can’t believe is only 13 days away)! Pinned! These are so gorgeous, I can see us having these for our Easter brunch. Thanks for sharing! What a fabulous combination of flavors! Love it-pinned.